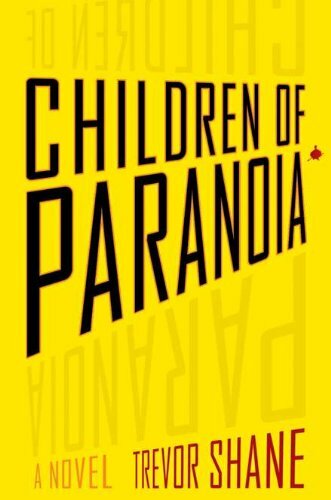 As the first scene opens in Children of Paranoia, the reader instinctively senses that this book is going to be both a shocking and intriguing roller coaster ride. Speaking in first person, the main character, Joseph, recounts in full detail the murder he is about to commit. Hiding amid the shadows of darkness on a quiet Brooklyn street, he carefully observes a woman who is closing her store. As she proceeds to smoke a cigarette and begins her walk home, Joseph paces himself to match her steps. His adrenaline races through his body as it had many times before. She speeds up—she must be sensing something dangerous is in the air. He pulls out his black leather gloves to get prepared for what he knows he has to do—it is his assignment. Just moments from the door to her apartment, he is wondering what is going through her head. Is she having regrets about her life, is she panicking, will this be as easy as it has been in the past? Hurriedly, he spins her around, the two of them face to face as he covers her mouth and squeezes her throat. He comments to the reader (via a journal he is writing to his girlfriend Maria) that “even through my gloves I could now feel her pulse in my hands, as her heart began its furious work to try to get oxygen to her brain. The last thing she would taste would be her own blood.” And he calmly continues: “I felt almost nothing. I was numb but I felt no pleasure in doing what I’d done.” Is Joseph simply a bloodthirsty killer, criminally insane, or is there something about this “assignment” that is more sinister? It is soon revealed that Joseph is involved in a war in which he and his cohorts believe they are good and the other side is evil. These partners in murder are trained at a young age that this war is unquestionably one of survival and that “only the paranoid survive.” This team of killers has certain rules to abide by like any group of soldiers with one exception. In the organization, breaking the rules is punishable by execution. It is clear that Joseph and his comrades do not view themselves as murderers, but as a group of soldiers willing to die for their cause. Every “kill” is assigned by someone higher up in the chain of commands, someone known only by a code name. The hard and fast rules for the soldiers include: 1) no killing innocent bystanders and 2) no killing anyone under 18. Under these rules, if a soldier kills an “innocent”—as they are referred to—they must turn themselves in to people on their own side who promptly put them to death. As Joseph continues explaining his life of mayhem to his girlfriend Maria in his journal, he confesses that much of his life “was spent waiting, waiting for the right time to kill.” What does Maria think while reading this journal written by the man she loved? Believe it or not, Maria is madly in love with this man that she’s known only a few weeks; she is willing to go to the ends of the earth to be with him—to try to help him escape this grisly life. After they meet, Joseph immediately falls in love with her, but he also loses the desire and will to continue killing. This places both of them in a dangerous place. Further, Maria tells him she is pregnant, which would mean risking the lives of three people because the third rule of protocol in the war is that children born to mothers under 18 are to be handed over—to the opposing side. Joseph is determined to escape this horrendous life with Maria and their unborn child. But how can they get out when all eyes in the organization will be intent on tracking them down? He knows that they can trust no one. According to his training, even people who look innocent are usually not. With nowhere else to turn, Maria and Joseph continue on their quest to stay alive. They desperately search for a place they can work an odd job and stay for a short time, as Maria is getting worn down by being pregnant and on the run. The hunt for the escapees is relentless, and as they strive to continue to stay alive, the ranks are closing in. Even his few close friends turn against him and treachery abounds at every turn. And Joseph learns quickly what he had always been told: The first to kill will be the last to survive. What keeps the reader relentlessly glued to Children of Paranoia are the unrelenting suspense and complex characters. It is definitely a roller coaster ride that one won’t soon forget; however, one missing piece for some readers might be that there is no explanation of what is causing this war and who exactly comprises the phantom enemy they are fighting? It is not a major flaw in the book, as the plot is still compelling, so it still earns a very high recommendation for readers who enjoy a good thriller.